PUBG Mobile stimulates the setting of key positions on the battlefield, which has always been a topic of discussion among players. In fact, many players will change the key position in the game according to their own habits. The convenience methods brought by different key positions are also different. Let’s talk about key setting recommendations. The setting of the key is as soon as possible. Why do you say this? Because when you play to a certain degree suddenly want to change the keys, the difficulty is often too high, because these keys are already established in your brain and consciousness. Suddenly changing the key position will have a big impact. It would be like using a gun suddenly used to change from a big one to a small one. You will encounter a sudden open gun. These are the negative effects of your unconscious. . Therefore, the sooner you want to change the key position, the better. The default key belongs to a player transition period. The player who has just started cannot feel it. Obvious key position problem, early for the novice player, the default key position use has no obvious problem. However, when the players’ ranks rise to a certain extent, they will find it difficult to make breakthroughs in their operations. The aiming key is on the right edge of the screen and is far from the firing key position. After the switch mirror, the finger needs a long distance to touch the firing key. The reaction speed is limited. There is no problem with the left-side firing button, but the right-side firing button is rather partial. Next, and the key is small, the sudden and positive encounter with the opponent is likely to cause rapid and effective shot firing because of panic. The system default side position is above the rocker and higher than the left side fire button . This setting has a great effect on the movement of moving shots and the movement of card shelters. Because the player needs to guarantee the use of sideways while moving, the load on the left hand is larger. Right-handed, two-fingered three-fingered operation . 2. Shift the key to the top right of the fire button, and shorten the distance between the open and the fire to ensure timely fire. 3. Position the sideways key position above the opening key to shorten the distance between the side body and the opening mirror. The side body can also be aimed more quickly at the same time. 4. Open the door and drag it to the lower left side of the fire key to avoid touching the door open button by sliding the field of view. 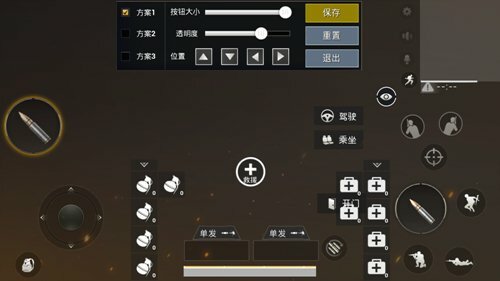 Change the location of the cartridge button and the medical kit. The above settings have advantages and disadvantages, but the advantages outweigh the disadvantages. Disadvantages: The right-hand key position is too concentrated, and frequent conversion of the view area in the house area can easily result in a false touch. 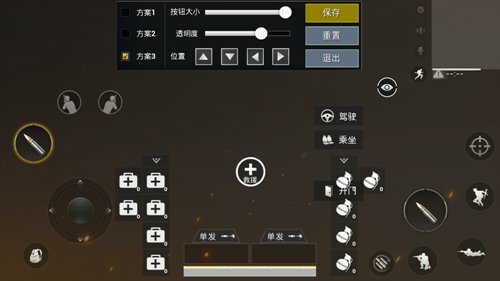 The solution is to release the right side of the small fire button, adjust the open door key down, increase the open area of ​​the screen. Advantages: MakeDuring the war, the operation is smooth, the right-hand operation is smooth and smooth, the key positions are more concentrated, and the fire can be quickly switched by opening the mirror. The open area is more practical. If the left hand has a large number of fire buttons, it can even be used to complete the fire by means of the left index finger, so that the three fingers can be operated. 1. Left and right fire buttons are all pulled In the upper left corner, deliver the fire to the left index finger. Greatly reduce the right hand load. 2. The sighting key and the sideways key are located side by side, and the visual field is controlled in a wider area, and the mistaken contact is avoided as much as possible, and the operating space is larger. 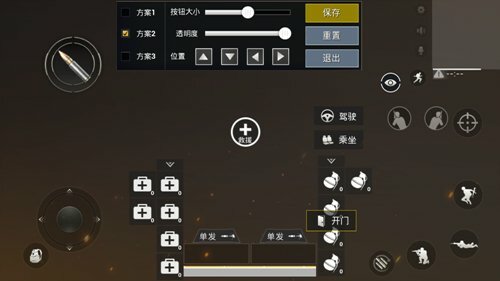 The only disadvantage of this setup is that the adaptation process is difficult and requires a long break-in period, but if To get started, the operation in the game will be upgraded to a higher level, ranking points “” 蹭蹭蹭 rd 就 就 就 “up! PUBG Mobile guide Chicken rules! These bad habits must be changed!